Twin Factor Womens T-Shirt Discounts Apply ! Twin Factor is a great shirt for any mom of twins. 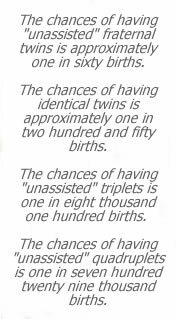 Any one of them can tell you that there is definitely a "twin factor". Available in white or gray.